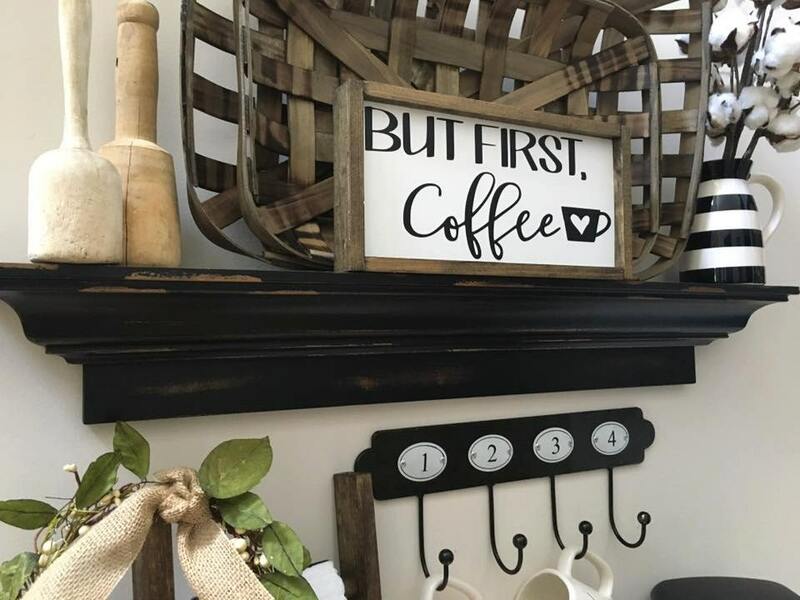 Our But First Coffee sign would be a great addition to your home décor or even a great gift. It is approximately 13.5 X 7 (give or take 1/2 inch) and comes with a saw tooth hanger (unattached) for wall placement. Because natural wood is used, each piece is different. I don't hide any of the woods imperfections (knots, rings, etc.) as I believe this just adds character. Note: Colors may vary due to resolution/settings on your monitor, phone, or tablet. Your items will be shipped via USPS, and you will receive a tracking number once it ships. Find us on Facebook for updates on new items, sells & more. 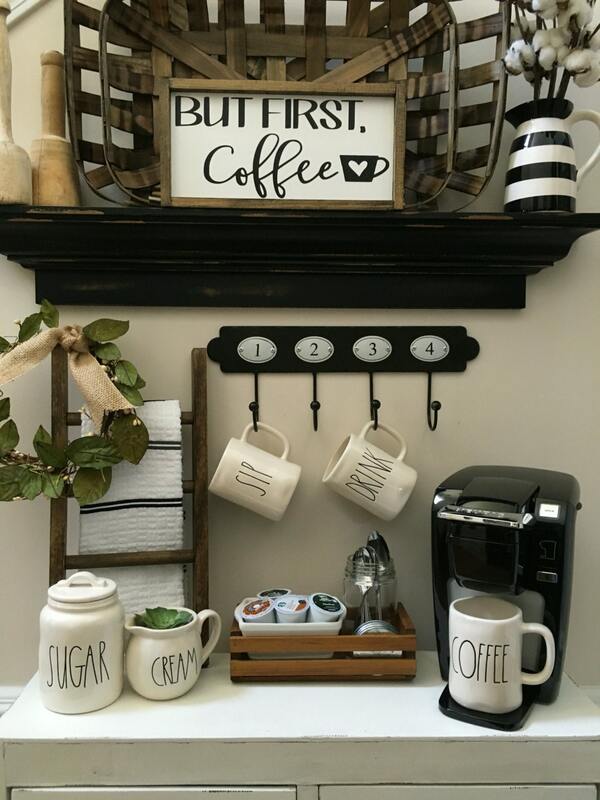 Are your signs vinyl or paint? All of our signs have been painted. 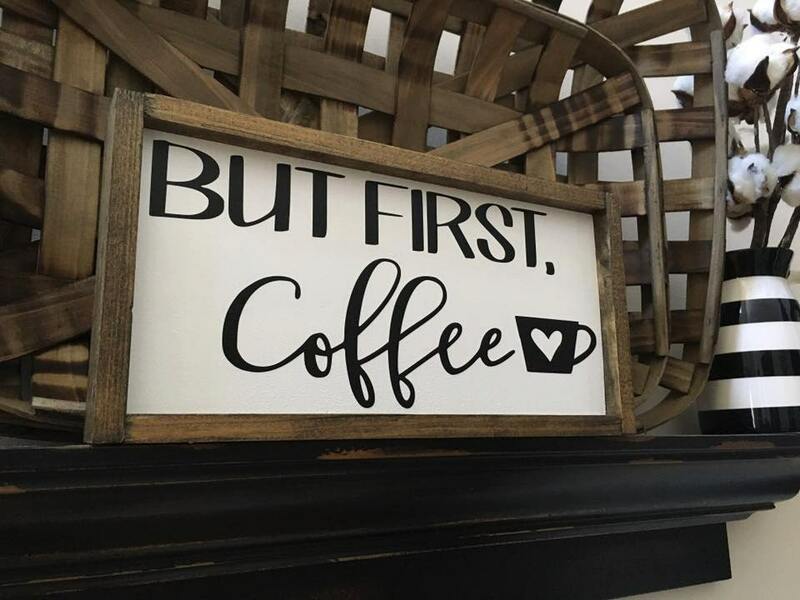 Are your signs ready to ship? 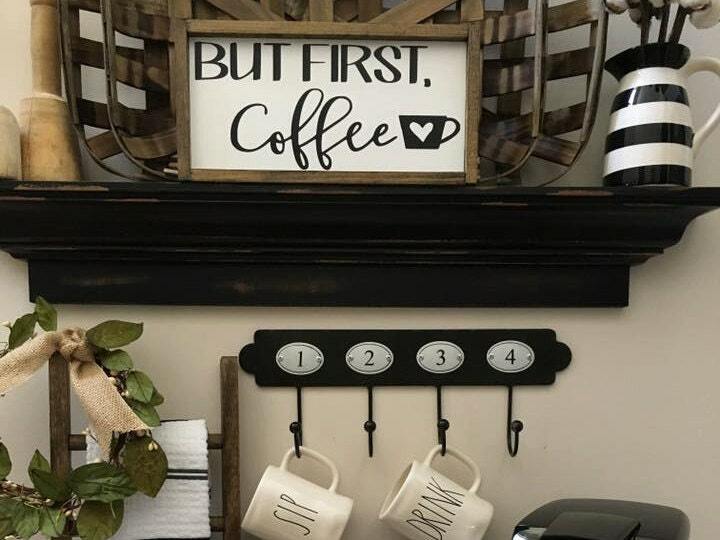 No, currently we make each sign once ordered.